A former U.S. diplomat is sounding the alarm about the possibility that North Korea could try to sell chemical weapons like the deadly VX nerve agent implicated in the death of Kim Jong-nam, half-brother of North Korea's leader Kim Jong-un, to terrorist groups. James Rubin, who was assistant secretary of state for public affairs under President Bill Clinton, recently wrote in Politico magazine that, since Kim Jong-nam's death, "The specter of chemical weapons proliferation, of VX in the hands of terrorists, now looms ever larger." Rubin then said that while North Korea's economic woes have reportedly increased since China stopped importing coal from the isolated country, he added that "every terrorist group in the world paying attention to world events now knows Pyongyang has available supplies of a deadly chemical weapon whose effectiveness has been proved beyond doubt." A demonstration of a new rocket engine for the geo-stationary satellite at the Sohae Space Center n this undated photo released by North Korea's Korean Central News Agency (KCNA) in Pyongyang September 20, 2016. KCNA via REUTERS ATTENTION EDITORS - THIS IMAGE WAS PROVIDED BY A THIRD PARTY. EDITORIAL USE ONLY. REUTERS IS UNABLE TO INDEPENDENTLY VERIFY THIS IMAGE. NO THIRD PARTY SALES. SOUTH KOREA OUT. A test launch of ground-to-ground medium long-range ballistic rocket Hwasong-10 in this undated photo released by North Korea's Korean Central News Agency (KCNA) on June 23, 2016. 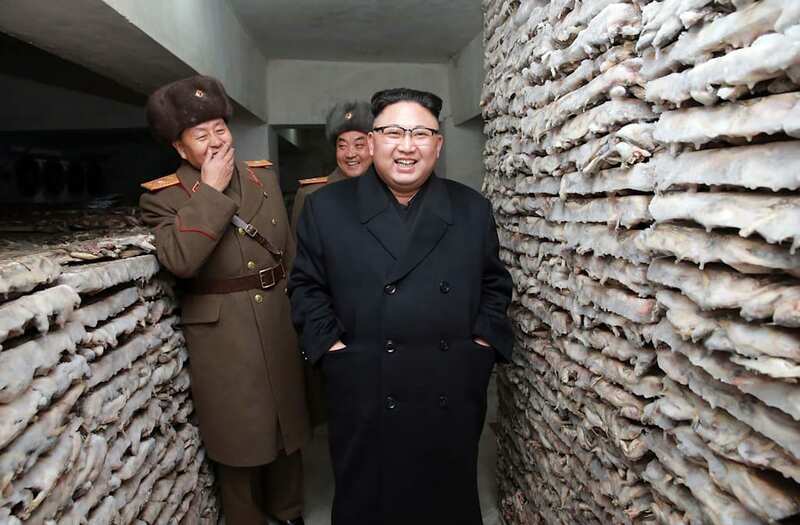 REUTERS/KCNA ATTENTION EDITORS - THIS PICTURE WAS PROVIDED BY A THIRD PARTY. REUTERS IS UNABLE TO INDEPENDENTLY VERIFY THE AUTHENTICITY, CONTENT, LOCATION OR DATE OF THIS IMAGE. FOR EDITORIAL USE ONLY. NOT FOR SALE FOR MARKETING OR ADVERTISING CAMPAIGNS. NO THIRD PARTY SALES. NOT FOR USE BY REUTERS THIRD PARTY DISTRIBUTORS. SOUTH KOREA OUT. NO COMMERCIAL OR EDITORIAL SALES IN SOUTH KOREA. THIS PICTURE IS DISTRIBUTED EXACTLY AS RECEIVED BY REUTERS, AS A SERVICE TO CLIENTS. According to Rubin, "Terrorist groups like Al Qaeda have been working assiduously for years to obtain WMD. Connecting the dots suggests a significantly greater risk that a terrorist group will get hold of a usable chemical weapon sometime soon." As such, he criticized the Trump administration for failing to act, or appearing to do so, since the alleged assassination. A recent New York Times report also called Kim Jong-nam's death by VX "a stark reminder of the North's lesser-known weapons of mass destruction: a stockpile of chemical and biological weapons." The piece quotes Duyeon Kim, an expert on North Korea, as saying, "The reported use of VX reminds us that not only is the North's nuclear-missile threat serious but so are its asymmetric threats, including biochemical weapons and cyber that are all part of the regime's W.M.D. tool kit."